Once you enter the market of used engines and auto parts then immediately you will surrounded by options not only in terms of brands but also in their different variants and again their sub-categories that makes difficult for a person to choose the appropriate one. If you do not have time and energy to re-search the used engine and auto parts market then proficient staff members of Used Engines are available to take entire burden from your shoulders and will assess al available option for you in used engines and transmission as per your requirement. Our professionals are specialized in used Subaru engines that can offer you great combination of cost effectiveness and quality with complete warranty scheme that no other provider can offer you in the market. 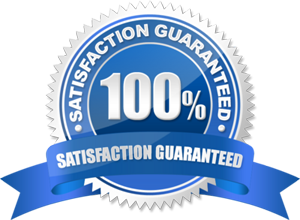 When it comes to reliability and authenticity then we have been number one choice for our customers from long number of years because they know that we deliver exactly what we promise. We are equipped with efficient technical equipments that helped us in maintaining an efficient database of used Subaru engine and of other renowned brands. So if you would like save yourself from a tedious job of finding right kind of used Subaru engine then call our experts today. A Japanese transportation giant Fuji Heavy Industries entered the market of auto manufacturing in year 1953 by the name of Subaru. From the date of its birth till year 1972 Subaru is known for using the layout of boxer engine of 1.5 cc in all their vehicles including drive-train layout. In year 1996 this layout and configuration of boxer engine has become the standard equipment in most of their mid-sized cars. Currently in North American market is captured by this standard configuration under Subaru vehicles. Subaru has also introduced different variants of turbo charged engines as well in their passenger cars. One of the famous models of this category is Imperza WRX. The parent company of Subaru automobiles, FHI is currently in strategic partnership with Toyota Motor Corporation that own approximately 16.5 stakes of FHI. 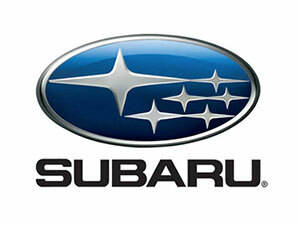 If you give a glance to the history of Subaru automobiles then you will find that it has entered two times into partnership with other automobile manufacturers. The first partnership was with Nissan motors in year 1968 so that Japanese automobiles can improve their competitiveness. Another partnership is with Toyota Motor Corporation that is still active. What options do we have in Subaru Engines? EK21, EK22, EK23, EK23 with 3 valve, EK23 (turbo, three valve turbo and three valve supercharged). - Subaru EJ engine (EJ: 15, 16, 18.20, 22, 25, and 30). These all are available in following cubic capacity (1.48cc, 1820cc, 1994cc, 2212cc and 2457cc). These are some of the highlights of Subaru engine that you can choose from and in order to make better purchase decision on any of these models our auto experts are available round the clock. All you need is to submit your requirement on rebuilt Subaru engines on our site and within 24 hours we will get back to you.